The purpose of this article is to discuss what a subpena is and how you should respond to a subpena if you are served with one. Generally speaking, a subpena is a formal request that you either attend a court hearing (whether it be a deposition, court hearing or trial) or to produce documents in conjunction with a lawsuit or administrative proceeding. In California, subpoenas are governed by the Code of Civil Procedure (Code of Civil Procedure § 1285, et seq. ), while in Federal Court actions, subpoenas are governed by the Federal Rules of Civil Procedure (FRCP Rule 45). Federal and state laws also permit legislative and administrative bodies to serve subpoenas to compel attendance at hearings or to produce documents, and arbitration tribunals (such as the American Arbitration, etc.) are also authorized to issue subpoenas. 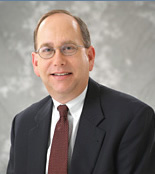 Darryl Horowitt, Esq., has conducted all phases of litigation in the areas of Banking, Business Disputes, Securities Fraud (class action and individual), Construction, Real Estate, Environmental, Casualty Insurance Defense, Personal Injury and Commercial Collections, from initial client contact to settlement, mediation, arbitration and trial - court and jury (State and Federal Court) and administrative proceedings (before the United States Environmental Protection Agency, Department of Agriculture, National Labor Relations Board, California Department of Fair Housing and Employment, Worker's Compensation Appeals Board and Agricultural Labor Relations Board).